North Korean defectors living in Toronto shared chilling stories at a conference Monday night in an attempt to appeal to the government for a chance to stay in Canada. Scarborough-Rouge River MPP Raymond Cho headlined the conference, hoping to get the attention of the federal government. 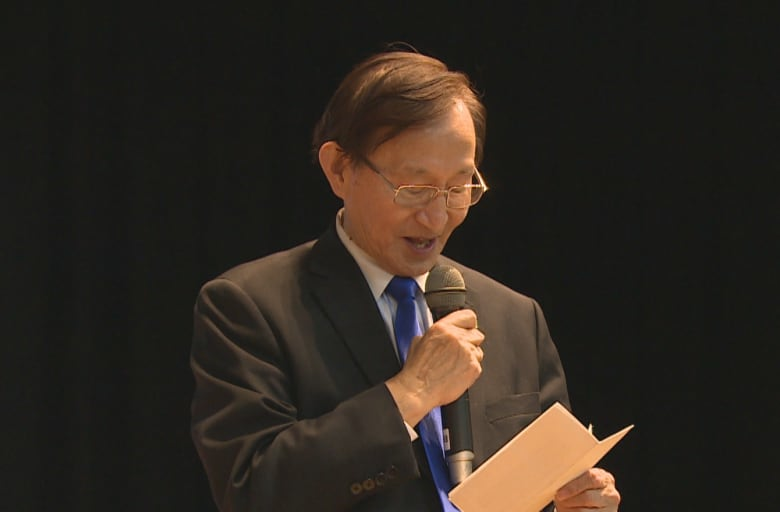 He said there had been about 3,000 North Korean refugees living in the GTA about two years ago but claims most were deported to South Korea. Cho said only about 300 remain in the region. Immigration, Refugees and Citizenship Canada did not confirm Cho's numbers but says the Immigration and Refugee Board, a quasi-judicial, independent body, makes the decision on asylum cases. "Decisions are made based on the merits of the specific facts presented in an individual case, and in accordance with Canada's immigration laws," the IRCC said in an email. 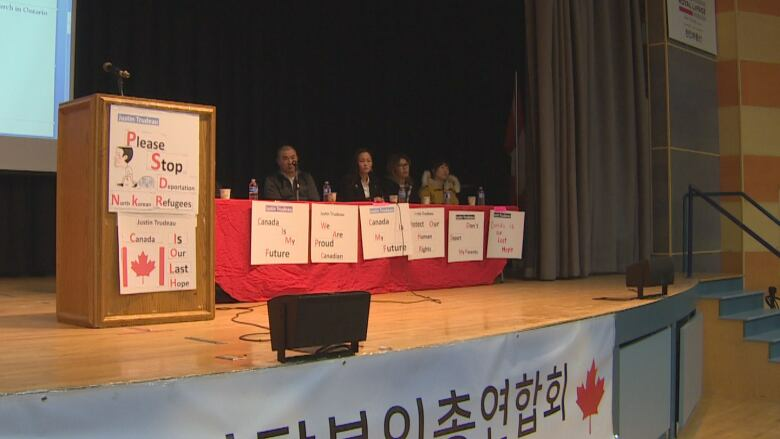 But many of those who told their stories on stage at the Korean Canadian Cultural Association of Metropolitan Toronto Monday night say the problem is that they falsified reports on their immigration documents, pretending to be from China or other countries in the region in order to gain entry into Canada. They say for them, it was a matter of protecting family members still in North Korea. "We needed to lie. If we didn't lie, we wouldn't have survived," refugee Younglan Lee said. She fled North Korea in 2003. "They regret that they told a lie, but they're saying give us a chance," Cho said in an interview. "If they get sent back to South Korea, and if their identities are revealed, their relatives in North Korea will be arrested, they'll be tortured and some even executed," he said. But the IRCC says South Korea is considered a safe third country. "Based on the United Nations Convention Relating to the Status of Refugees, North Korean claimants who have been granted South Korean citizenship are excluded from refugee protection, which has resulted in negative decisions on asylum claims in many cases," the agency said. This means always living in fear, even here in Toronto, some of the refugees say. "I have a nightmare to get arrested and get sent back to North Korea, and everytime I hear the police I get anxious," one woman on stage said. Another describes the difficulties of trying to stay under the system. "We can not go to the hospital even though we are sick, because we are so scared, we so scared of being arrested by police, even though my husband have broken bone, we can not go to the hospital," the woman said tearfully on stage. A number of multi faith leaders added their voice to refugees claimants' plea to stay, asking Ottawa to take a closer look at the North Korean defectors living in Canada. The federal immigration ministry did say that the situations are considered on a case-by-case basis but they do not support accommodating refugees granted citizenship in South Korea. "As North Koreans are able to apply to become citizens of South Korea, and given that Canada has limited resettlement spaces, it would mean that fewer spaces would be available to refugees who are just as much in need of protection yet do not have access to a durable solution," the ministry said.